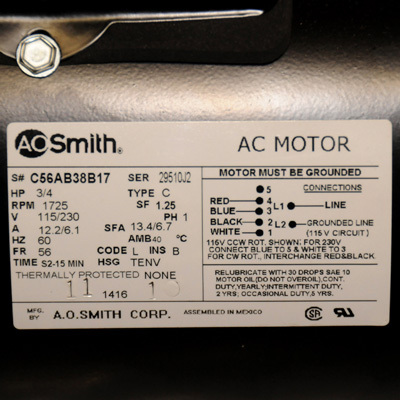 AO Smith painted motors can replace most boat hoist motors. 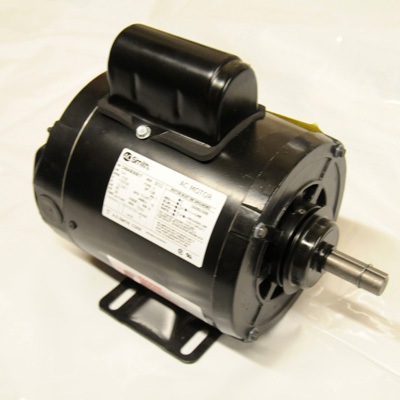 These motors are 56 frame for boat hoists and run at 1725 RPM, reversible and have a 1 year warranty. These motors may be wired for 110V or 220V operation. 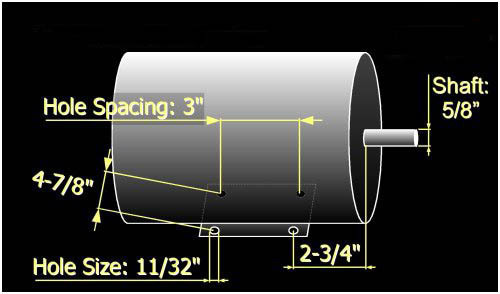 The motors are TENV (Totally Enclosed Non-Venting) so that dirt dobbers and other pests cannot nest inside the motor. 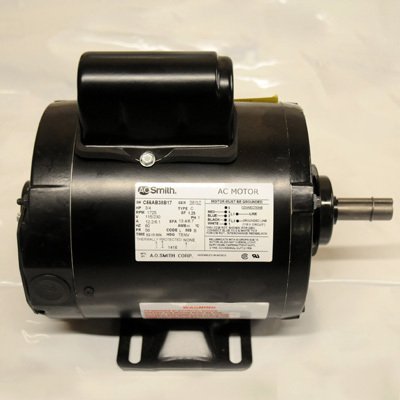 These motors do not come with wiring or a pulley. Please check horsepower, frame size, capacitor location, & voltage (115V/230V).